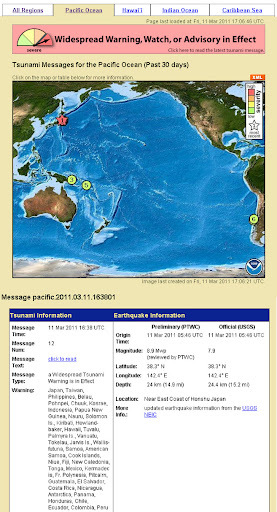 The following list gives estimated times of arrival for locations along the North American Pacific coast from a tsunami generated at the given source location. The list is ordered by arrival time starting with the earliest. 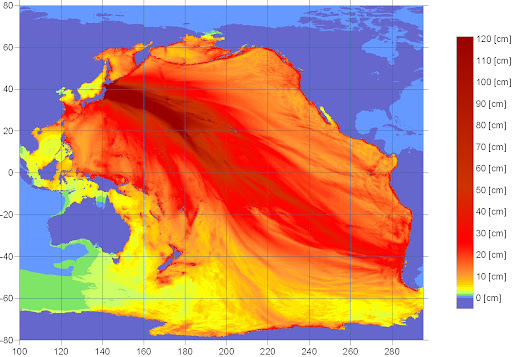 Since tsunami speed is directly related to water depth, tsunami ETAs can be computed independent of tsunami amplitude.